Nearly three-and-a-half years ago, Psych ended its reign as USA’s premiere “blue-skies programming” series with a very fitting crime for the circumstances: Shawn proposed to Juliet on the streets of San Francisco while his BFF in life and crime, Gus, looked on, only for a thief to steal the ring from their hands and run away. Flash-forward to 2017 and things are delightfully the same as it ever was for the gang in the reunion Psych: The Movie. Shawn has opened a new Gremlins-esque psychic-detective agency called “Psychphrancisco.” Gus is grudgingly back in pharmaceutical sales to help pay the bills. Juliet and Chief Vick are working at the SFPD to mixed results. A villain who loves David Bowie way too much is on the loose. But Lassiter was notably absent down in Santa Barbara, owing to the fact that his portrayer, Timothy Omundson, suffered a “wee” stroke mere weeks before the film was set to commence shooting — news that sent the film’s co-writers, James Roday and Steve Franks, into a creative spiral to completely retool the script in two days’ time. But what resulted was a narrative that effortlessly stayed true to the beating Psych heart, and one that also sets up the possibility of a Psych film franchise. 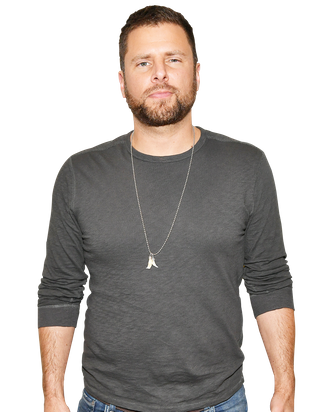 Earlier this week, Roday — who also plays Shawn — rang up Vulture to discuss returning to the series, the two-day-long rewriting process, and what to expect for Psych’s future. C’mon, son! It would’ve been so weird if you were like, “Eh, it wasn’t for me,” and then we talked for 20 more minutes about it. You’re right, it was mediocre at best. Good, thank you. I’m so glad you enjoyed it. Why was this, three-and-a-half years later, the best time to revive Psych? And with a holiday angle in particular? The absolute truth is that we can’t take much credit for any of this. It was driven by our fans and always driven by our fans from the moment we went off the air. The Psychos just started rallying and didn’t stop. And it was just so loud that the studio and the network were like, “Hey, we really think there’s an appetite for this, what do you guys think?” It was so humbling and crazy, and obviously we were up for it. The holiday part came more from the studio than us. They said something like, “It’s a great time when families come together; it’s a family show, and you can literally tie it up in a bow.” You’ve seen the movie, it’s not like we moved mountains to make it a Christmas movie. We threw some garlands and a couple of presents and a couple of trees in the background shots. It’s as much as a Christmas movie as Gremlins. As the film’s co-writer, you were placed in the hugely unfortunate position of having to overhaul the script with the news of Tim’s stroke. Can you walk me through how much time was given to make those adjustments, and how you and Steve successfully channeled all of that creative energy into the rewrites? I gotta say, I’m not going to pull any punches, but I do think we were guided by a greater power. Because we did it in about 48 hours, and that’s not an exaggeration. We were already in Vancouver, since we were prepping and a few weeks away from shooting. The news came in, and our first instinct was to shut everything down. There’s no Psych without Lassiter, so what are we doing? We should be putting all of our energy into our family member who’s going through this ordeal and not farting around in Vancouver making a movie. The idea was hatched that there was an outside possibility that because we had so much lead time before it was going to air, Tim could, in fact, possibly appear in the film. It became a rallying cry for everybody and a cause for everybody to get behind. It definitely became a let’s do it for Tim thing. But timing-wise … we got drunk, as you do in those situations. For about 48 hours, Steve and I rewrote the script and reworked a bunch of stuff, and put everything in San Francisco. And leaned much more heavily on Woody, so thank you, Kurt Fuller, for coming through in such a huge way. We had this script after two days of doing our best Charles Bukowski and gave it to the network. We were like, “We don’t know — we don’t know if any of this makes sense.” And they read it and came back to us and were like, “Guys, this is great, and in some ways this is even funnier.” Tim’s energy and spirit were definitely guiding our hands, because like you said, it was unfortunate and we had no time to do it. It was a magic trick that we somehow pulled off with a higher power and Tim’s spirit. What were the main narrative and tonal differences that changed between those two scripts? The idea was always to start in San Francisco and then get everybody back to Santa Barbara for the majority of the case work and squaring off against the villain. Very much “getting the band back together” in the city and seeing the old haunts. And having a heavy dose of Lassiter bringing what he brings to the show, which you can’t really replace. There’s no way to replace what Lassiter does on Psych, because he’s antagonistic, but does it without skipping a beat or disrupting the flow of the comedy. So he became a master of that over the course of the show. Rather than try to replace him with a similar energy, we just said, “Screw it. We’ll go 180 in the opposite direction and plug Woody into all of those scenes. Get totally Woody-fied and get 100 times more silly.” In this current political climate, keeping it super light and having jokes isn’t the worst idea. So the two biggest shifts were losing Santa Barbara and losing the nostalgia that came with that, and pivoting to more silliness. This isn’t the most apt comparison, but since we had a conversation about our mutual love of Twin Peaks earlier this year, Tim’s scene reminded me of Catherine Coulson’s scenes in The Return — despite being in recovery mode, he still managed to film a moment for the benefit of the show and its fans. He was remarkable. Yeah, it was a great thing for all of us. That moment, and that feeling you had, was the reason we made this movie. Knowing we had an outside shot to send that message to all of the fans who know what happened to Tim, and to give Tim the opportunity more than anything to just let everybody know, “I’ve got this; I’m going to be okay,” was the reason why we decided to do it anyway. We pushed it as far as we could and that was the last scene we shot. A couple of weeks ago is when we finally wrapped the movie. We got lucky and Tim crushed it. The movie didn’t feel real or complete to us until we did that. In a way, it’s pretty fresh in our minds that we got closure out of it and wrapped it up. It was a beautiful day, and I’ll never forget it as long as I live. Where did Tim actually film his scene? He shot his scene in Los Angeles, in the comfort of his own abode. And what was Maggie reacting to during that scene — was it just a blank phone? On the phone there was a little green screen, and I had the unenviable task of hiding and doing my best to channel Lassiter, which hopefully no one will ever have to hear, because I’m not one-eighth of the Lassiter that Tim is. That was what we had, so that’s what we went with. Maggie, I’m sure, was listening to what was coming out of my mouth, but as you could tell in the scene, she was mostly thinking about her partner and her good friend and working with that. In a lighter topic, I think my favorite moment in the film was you and Jimmi Simpson palling around and acting all flirtatious in the kitchen, which I’ll now be exclusively thinking of when Westworld returns. [Laughs.] One thing that was important to me and Steve was to not make this movie too much of a departure from the things our fans grew to love about the show. We didn’t want this to be late-run homage-tribute Psych. We wanted this to be a classic Psych caper, which, honestly, if you go back and look at the earlier narratives, they were some of the thinnest stories ever. Because it wasn’t really about the case, it wasn’t really about the plot — it was about Shawn and Gus and the situations they got themselves into. Because we were making this for the fans, because the fans demanded it, we decided it has to be for them. But I said, to get Steve’s permission, give me four pages and one dream sequence to do something weird. It gets tougher and tougher to bring Mary back since he’s dead, so you need dream sequences. You have to be clever and creative. That’s how that sequence was born. It’s ’90s Gin Blossoms; it’s all right! Jimmi was able to learn that song on the ukulele. It was a perfect storm of thumbs-up for that. And with the clothes, the backstory with Mary was that he was always a racquetball guy. And since we show the passage of time with all of the characters, we wanted to show some sense of evolution of what Mary’s been doing in the afterlife. The idea was that he’s expanding his repertoire and has taken up golf. [Laughs.] And he only wears white. And his singing voice! A buttery tenor. Were there other supporting characters you were trying to get for an appearance, but it didn’t work out for one way or another? I know there were rumors about Cary Elwes. I think Cary was a scheduling thing. Also, once the story took shape, and especially after we were thrown the curveball with Tim, I’m not sure there was enough real estate to properly integrate Despereaux this time around. But we did have a little something-something for Ally Sheedy and Curt Smith that we ended up having to say good-bye to, once budgets come in and schedules come in. But the good news is, those people we weren’t able to integrate into this movie will certainly find their way into future ones, if we’re lucky to make more, because we have so many people interested. We’ll still be able to throw Easter eggs into the future. In that sense, I think of saving them for the next one. Why was it important to you to have Shawn and Gus both happily paired off at the film’s conclusion? Was there ever talk that Shawn and Juliet wouldn’t last? The fans hung with us for so long with the Shawn and Juliet will-they-won’t-they thing. It would’ve been lazy and unfair to have broken them up in the ether of the time away. There was too much investment in that relationship, so we knew we had to deal with it head-on. If the choices were break them up in the movie or finally get them together, it’s pretty clear what the fans would prefer to see. We also knew we couldn’t squeeze another Psych experience of the two of them staying static, either. So we had to make a move; the fans deserve the move. They went eight years without seeing that wedding. We still put our own silly spin on a wedding. It’s certainly not a wedding people imagined in their heads. But it did feel like the time was right to pull the trigger and stop teasing people. Steve has already said he wants to make five more Psych movies, and perhaps one of them would be a film or TV homage. Have you begun to work on follow-up scripts? Steve is the most optimistic, glass-half-full man to have ever lived. For him, there was never any question that there would be six of these. For me, honestly, I just feel so humbled and lucky to have been able to do one and say thank you to our fans who let us crowd-surf on their shoulders for eight years. Put the cart in front of the horse, and let’s see how this one does. Let’s see if it’s embraced and see if people want more. What I can say is, if they do, we’re never going to say no. The show has changed all of our lives, and as long as they want to see these characters, we want to give it to them. I’ll do the old sports adage: Let’s take one Psych two-hour special at a time, and I’ll let Steve be the optimist. I personally won’t be satisfied unless you do between 15 to 20 more movies. There’s part of me that really, really does hope we can do at least one more. For no other reason than for Tim to participate in a greater capacity. That feels right to me, and I’d like to give that gift to the fans as well. There’s a lot of goodwill and positivity behind it. If this thing doesn’t tank, I think it’s a pretty easy conversation to have, and we’d be thrilled. And who knows, maybe the next one will be on the scarier side. Now that’s a tease!